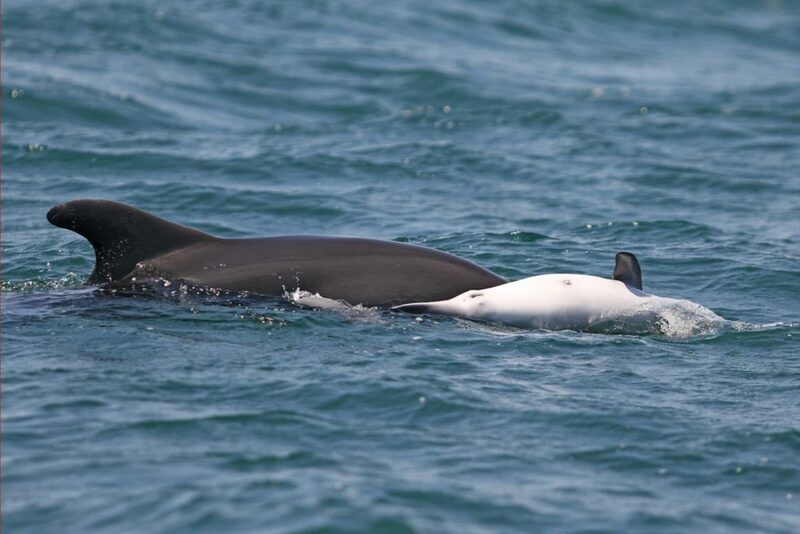 On the 28th of June 2017, one common bottlenose dolphin, Tursiops truncatus, was observed interacting with a dead calf in the semi-closed waters of the Gulf of Ambracia, in western Greece, by researchers of the Tethys Research Institute working at the Ionian Dolphin Project. 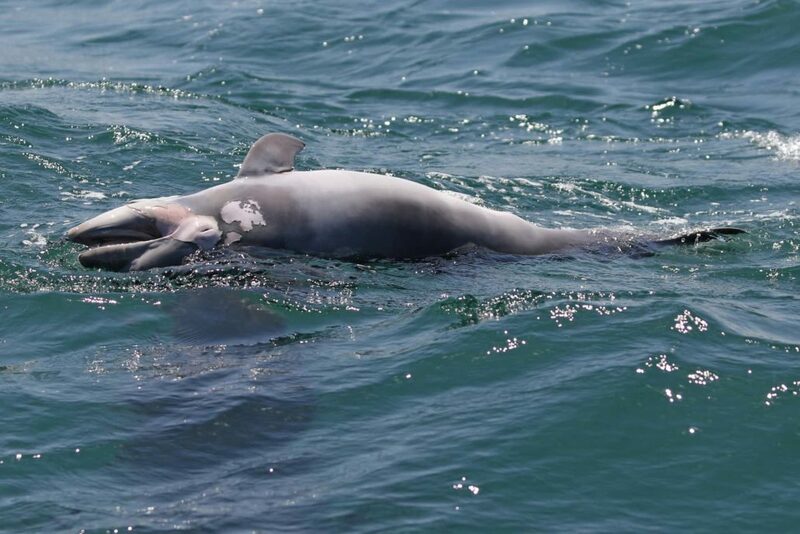 On Wednesday, 28th of June 2017, at about 13:45, our research team received a phone call from our friends Vassilis and Venetia from Ecocruising informing us about a dolphin seen in apparent distress accompanying a dead “baby dolphin”. Ten minutes later, we were back at sea after having already spent that morning doing our usual dolphin survey in the Gulf. Thanks to the coordinates facilitated by Vassilis, by 14:15 we were able to find the presumed mother and observe her behaviour for about 1.5 hours, despite the adverse weather conditions of strong wind and a choppy sea. We were eventually forced to cease our observation and head back to Vonitsa, our home port. 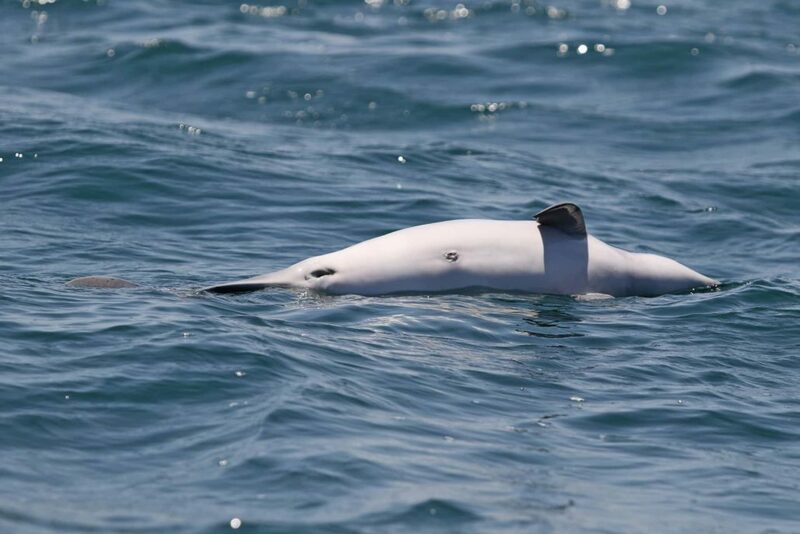 We recognized the adult immediately as 03036, a female firstly photoidentified in 2003, which according to our records has had offspring on three occasions. The dead calf seemed relatively fresh, but started to show some signs of decay, with some skin missing around the eye and lower chin on its right side. 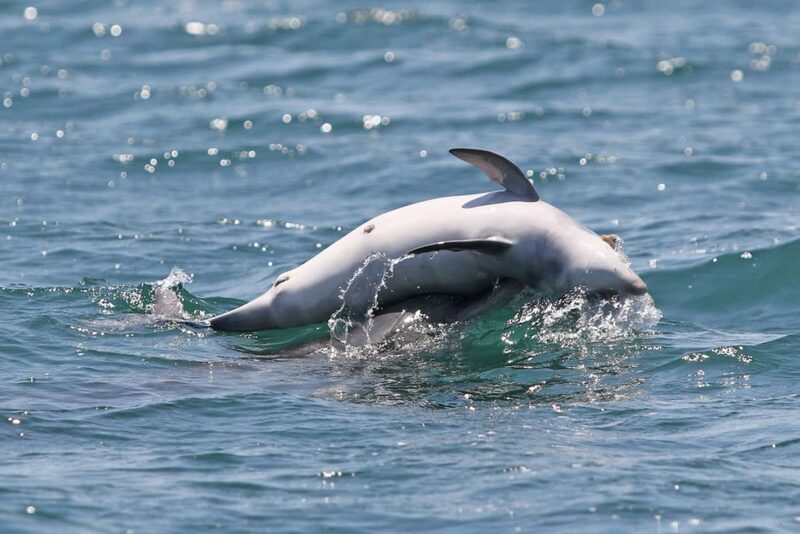 Initially the mother seemed to try to keep us at about 50 m away by grabbing the calf, diving and disappearing for as long as two minutes from our sight. However, we were progressively able to get closer to them and take 261 photos and almost 20 min of video footage. Throughout the observation she lifted the little corpse above the surface and pushed it repetitively in what seemed to be a frantic attempt to bring her calf back to life. It was clear that she had not come to terms with the idea of leaving it behind. 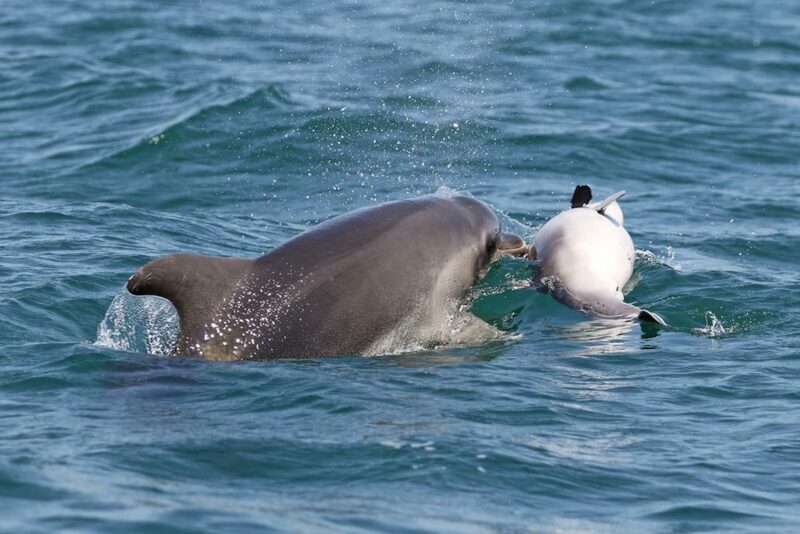 I have witnessed this kind of “nurturant behaviour” (a good review was published in 2016 by Melissa Reggente and colleagues) on three other occasions, here in the Gulf of Ambracia. It is always heart-breaking to observe these animals I have come to know so well over the years, manifesting their emotional intelligence and sharing their grief with us. 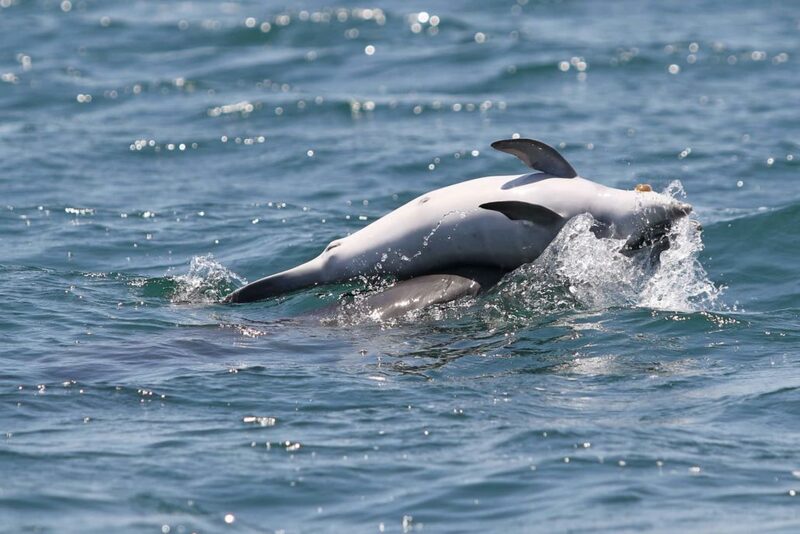 For those of us lucky enough to be able to study these fascinating animals in their natural environment, experiences like this remind us of the need to get our voice heard and explain to the wide public that dolphins and humans are not so different. There is no discussion about us humans being intelligent and emotional beings; is it not extremely presumptuous to think that we are the only ones?